When life calls for a punch of sweetness, there's one honey that always does the trick. 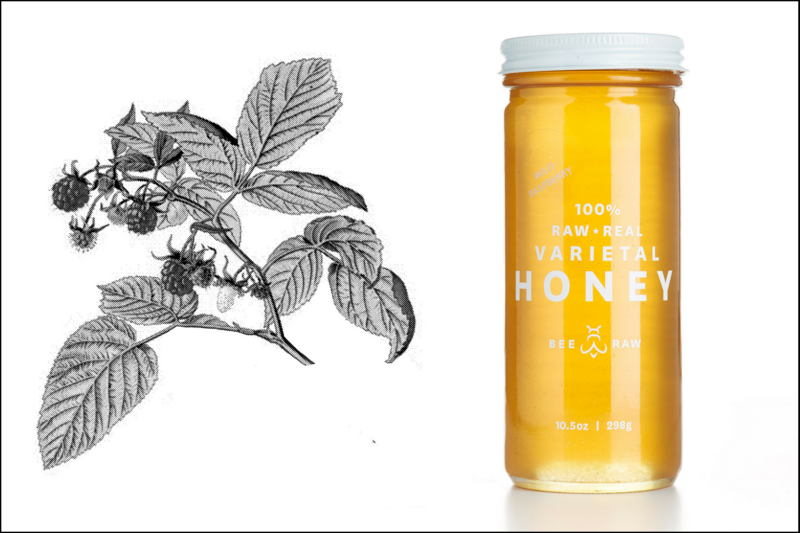 Perfect for those with a sweet tooth, Wild Raspberry Honey combines a recognizable light amber color with the flavor complexity found only in a raw, single varietal. A subtle aroma of cocoa butter leads to a unique berry-forward finish, making this honey a consistent crowd favorite. Suitable for both delicate palates and the bold-flavor-seeking, Wild Raspberry coats the mouth with a smooth texture and a whisper of raspberry flavor. But no additives here—as with all of our honeys, Wild Raspberry is raw and unprocessed, gaining its complexity during the journey from raspberry blossom to hive to jar. Wild Raspberry’s bold sweetness and subtle undertones lend themselves to a wide range of uses. We like it as a base for tuille served with creme fraiche, or mixed into butter for a breakfast-friendly spread. Wild Raspberry is magic with Chamomile Tea and works wonders in a mojito. Try it on granola, yogurt and toast, and experiment with it as a mellow sweetener in cookies and cakes. Wild raspberry plants grow throughout the temperate United States, from Alaska to New Mexico, and produce particularly well in the state of Maine. We get our honey from Albion, Maine, where the beekeeper places his hives in an area full of raspberry bushes. The plants flower with small white blossoms from late spring to early summer, giving the bees an ample window to collect nectar and start the honey-making process. Raspberries and blackberries are among the safest wild berries to forage, as they are easy to identify and have no look-alikes. Just like all raw honey, Wild Raspberry is full of antioxidants and contains helpful trace elements and minerals, such as cobalt, copper, iodine, iron, magnesium and phosphorus. For centuries people have turned to raw honey for the topical treatment of minor wounds and burns, and as an antibacterial agent to promote overall health. Parents in need of a good night’s sleep also credit raw honey as a natural cough suppressant, given its ability to coat and soothe the throat. How do you use Wild Raspberry Honey? Let us know in the comments!